I thought that I should share this e-mail that one of my officers sent - isn't this what our club is all about? Salute to Generals Ejeder and Donlon! Sirs! [Salute!]. You are about to receive a rather unusual communication and request from me. My name is Steven Donlon. 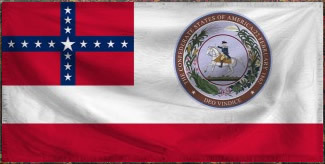 I am a Brigadier General in the I Corps of the Army of Northern Virginia, CSA. I am asking you to bestow upon one of your own the recognition of a “good sportsman” or “good conduct” award for his selfless, gallant, and gentlemanly conduct on the battlefield. I am referring to Brigadier General Zafer Ejeder, 2nd Inf. Div., 5th Inf. Bde., XVI Corps, Army of the Tennessee. BG Ejeder and I have been involved in a bitter and long campaign since August of 1861 (2011) and just managed to bring this closely contested match to a close in May of this year, 1863 (2013). It was a most tenacious, bitter, and hotly fought (yet extremely enjoyable) campaign. What made this match so remarkable is that BG Ejeder exhibited a most remarkable and patient understanding for my inability to keep up with the turns on a regular basis. The work I am regularly engaged in is frequently punctuated by crises, and often requires my full attention and absence from the battlefield, sometimes weeks on end. My abilities were furthermore complicated by personal family problems, including the death of a very close family member, which precluded me from staying regularly engaged in our competition – in one instance for more than three months. Throughout this entire time, however, BG Ejeder, exhibited a most remarkable patience and understanding for my situation; and he was always willing to again pick up the match when I was ready and able to do so. I believe you and your command should be made aware of this most gallant and gentlemanly conduct of one of your officers, a gallantry, I must admit, is most unusual for a Yankee – at least it has not been commonly observed elsewhere on my part. Nevertheless, despite our regional animosities and political differences, BG Ejeder has won my respect and admiration. I, therefore, ask that you might recognize his conduct in accordance to whatever your army regulations might allow as I am unaware of any formal recognition my government might be able to bestow on him on my behalf. I thank you in advance for your consideration. Thank you for bringing this to my attention. 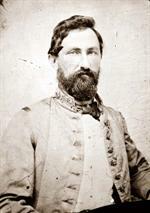 Brigadier General Ejder has proven to be a most enthusiastic and reliable member of the Army of the Tennessee and the ACWGC. Hearing this tribute from Brigadier General Donlon does not surprise me in the least having known Zafer for the best part of four years. I will certainly award Brigadier General Ejder the appropriate decoration for his conduct. More importantly, I will use Brigadier General Donlon's words as an example to the officers in my command of what it means to be both an officer and a gentleman. Please convey my compliments and thanks to Brigadier General Donlon for taking the time to present proper credit to Brigadier General Ejder. I don't believe it would be a a stretch for me to say that the conduct of BOTH officers in this matter embodies the best attributes of the ACWGC, friendly competition and gentlemanly behavior. He is also a great opponent, he keeps me on my toes!